These are my photos from June 15, 2013 when I saw Leonard Nimoy at Symphony Space in NYC after a performance of Vincent. A magical day! Focused close up of Leonard Nimoy at Symphony Space NYC, June 15, 2013. Original Photo by Therese Bohn. 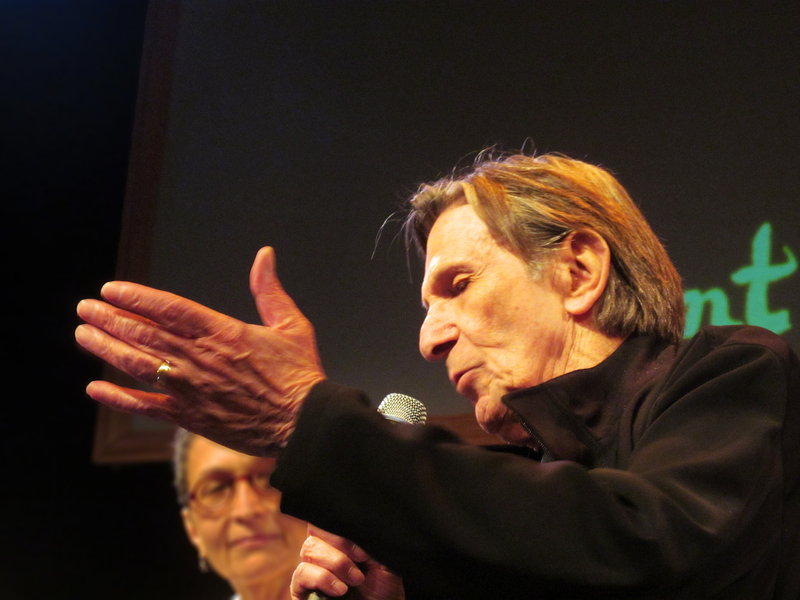 Giving an Answer — Leonard Nimoy at Symphony Space NYC, June 15, 2013. Original Photo by Therese Bohn. 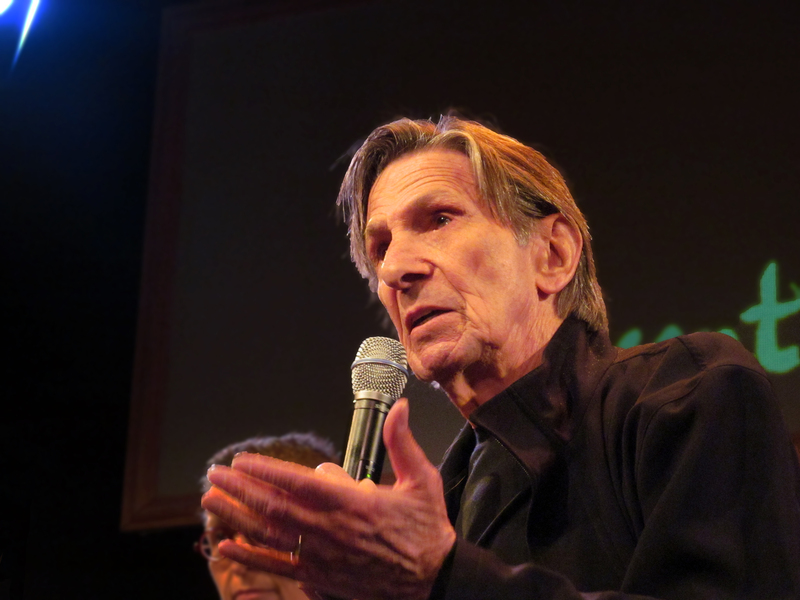 Making a point – Leonard Nimoy at Symphony Space NYC, June 15, 2013. Original Photo by Therese Bohn. 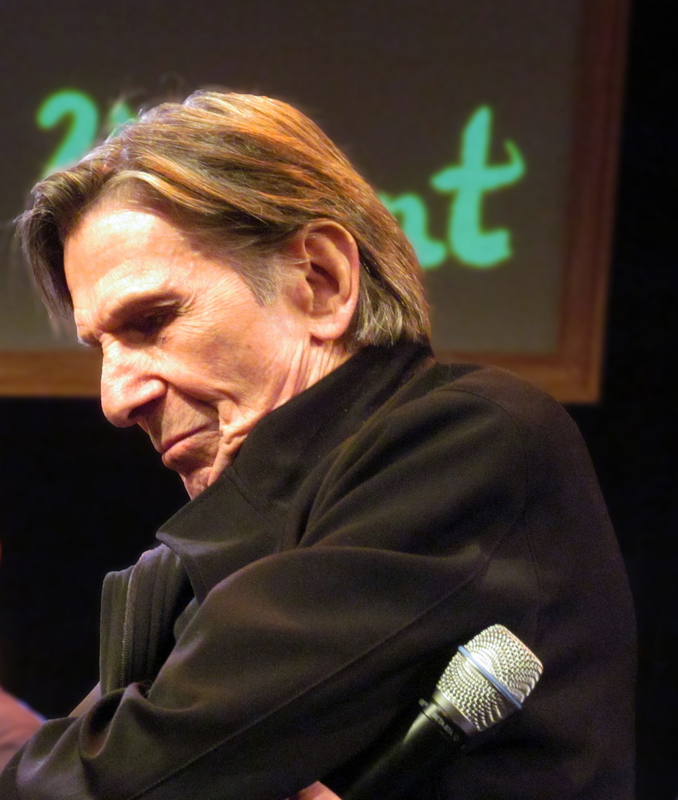 A Spock-ian Puzzlement – Leonard Nimoy at Symphony Space NYC, June 15, 2013. Original Photo by Therese Bohn. A Wonderful laughing moment on the panel. 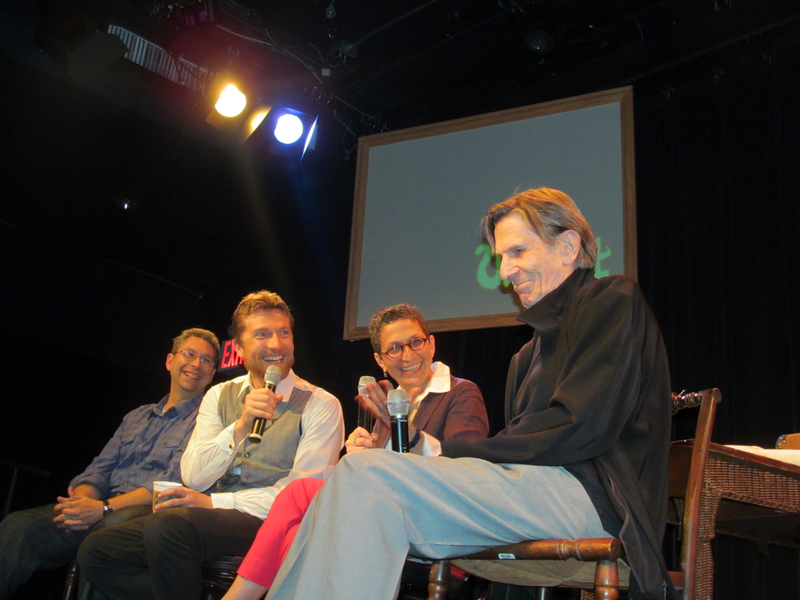 Leonard Nimoy at Symphony Space NYC, June 15, 2013. Original Photo by Therese Bohn. 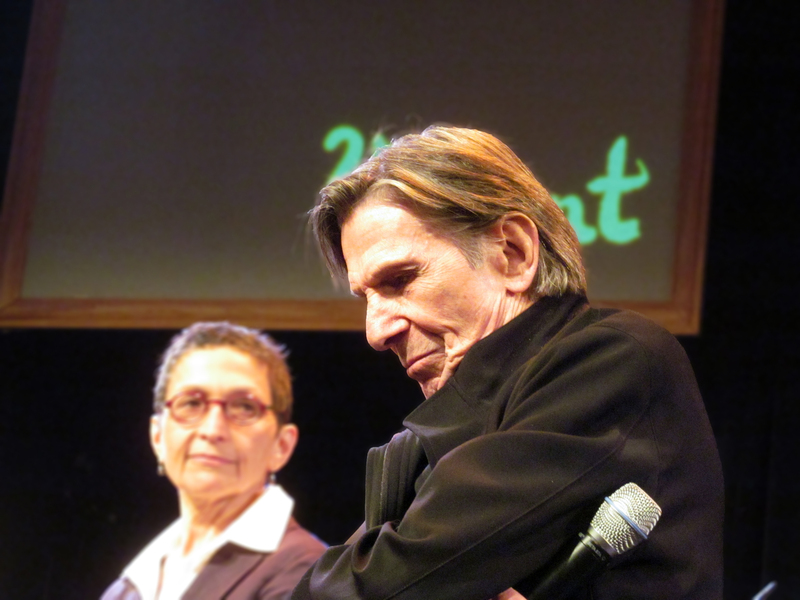 Contemplation of Question — Original version – Leonard Nimoy at Symphony Space NYC, June 15, 2013. Original Photo by Therese Bohn. 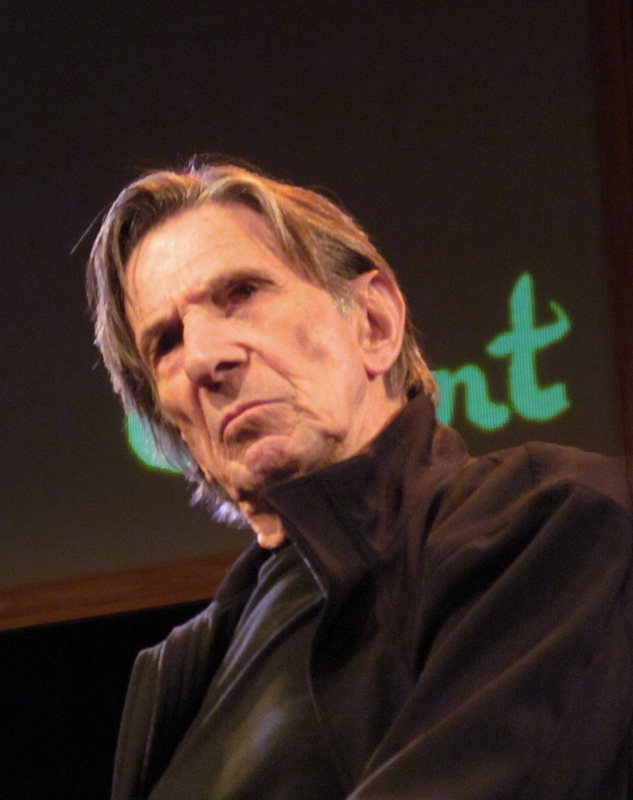 Contemplation of Question – Detail – Leonard Nimoy at Symphony Space NYC, June 15, 2013. Original Photo by Therese Bohn. Contemplation Black and White with Original Poem ‘Mr. 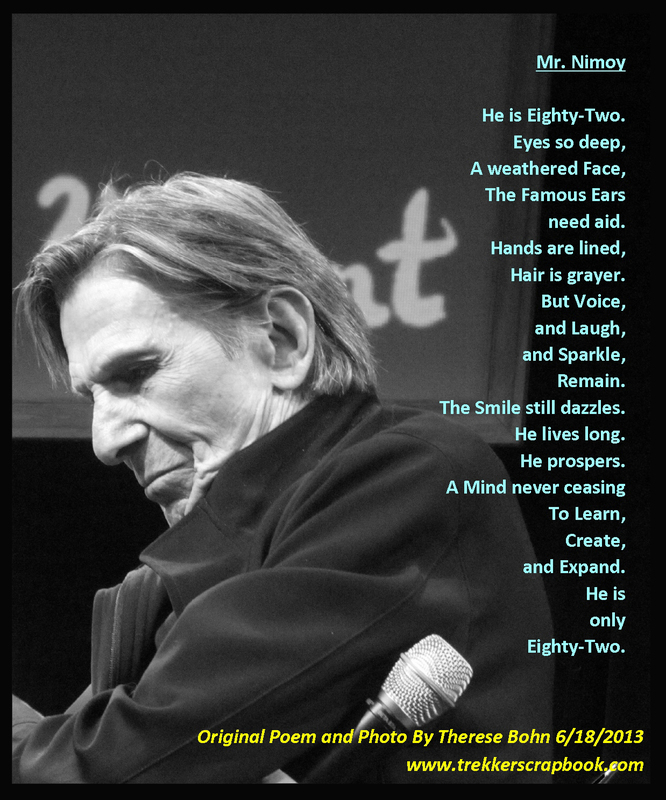 Nimoy” by Therese Bohn — Leonard Nimoy at Symphony Space NYC, June 15, 2013. Original Photo by Therese Bohn. Happy Smile! 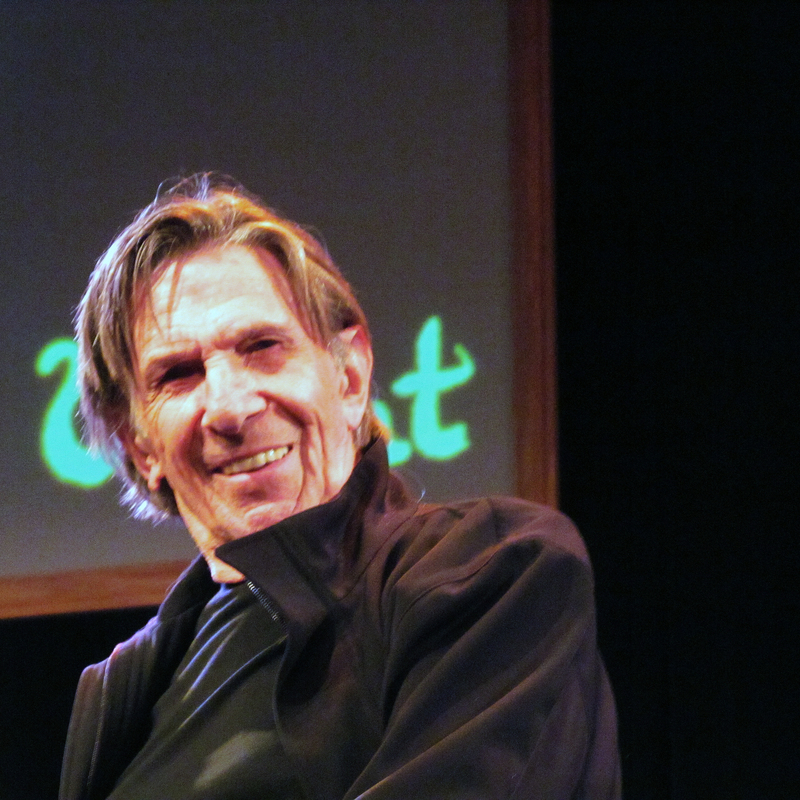 Leonard Nimoy at Symphony Space NYC, June 15, 2013. Original Photo by Therese Bohn. 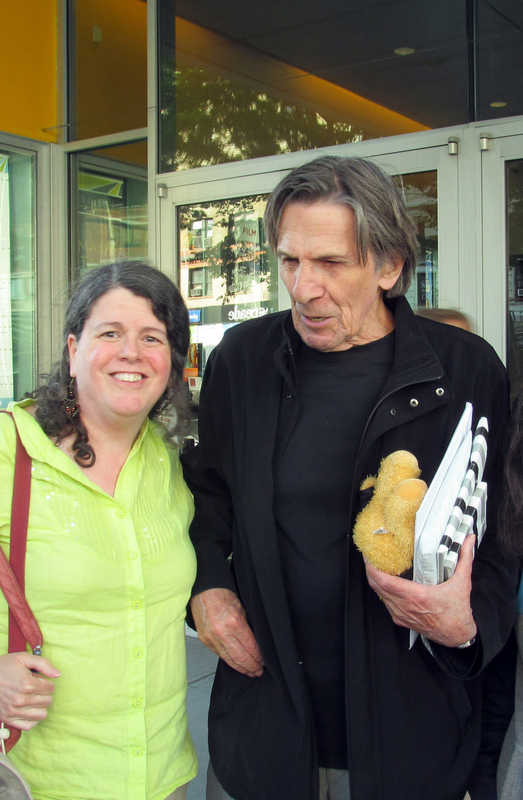 Therese Bohn and Leonard Nimoy outside of Symphony Space – Leonard Nimoy at Symphony Space NYC, June 15, 2013. Original Photo supplied by Therese Bohn. 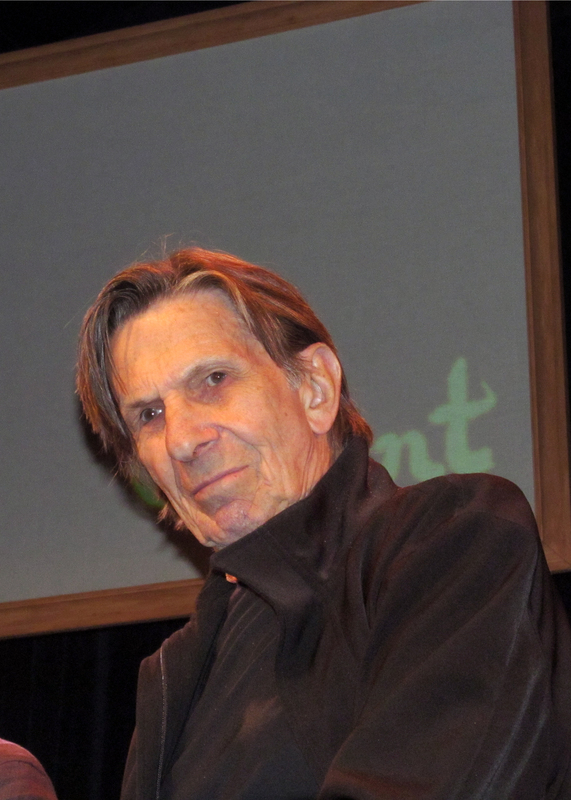 This entry was posted in Uncategorized and tagged 2013, Adam Nimoy, For the Love of Spock, Photos of Leonard Nimoy by Therese Bohn, Symphony Space. Bookmark the permalink.